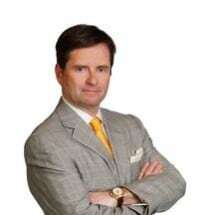 One of California's premier plaintiffs' law firms, the Dolan Law Firm has obtained hundreds of millions of dollars in verdicts and settlements for its clients in personal injury, car/Uber, bike, and motorcycle crashes, elder abuse and neglect, employee rights, civil rights, and whistleblower cases. Chief Legal Counsel Christopher Dolan founded the firm in 1995 and has been recognized by Best Lawyers, Super Lawyers, and the Daily Journal as one of the very best injury and plaintiffs’ attorneys in all of California. The attorneys at the Dolan Law Firm work as a team under Christopher Dolan’s supervision, drawing upon their considerable collective knowledge of the law and trial skills, as well as the firm’s substantial financial resources and access to experts, to provide each client with superior legal representation. The Dolan Law Firm attorneys are among the most qualified and skilled professionals in their practice areas. The successes they have achieved in the courtroom for their clients have resulted in the firm's recognition as a Best Law Firm by U.S. News. Many of the firm's cases involve personal injury and wrongful death claims due to the fault of others brought on behalf of bicyclists, motorcycle riders, car drivers, Uber/Lyft passengers, and pedestrians. The firm represents MUNI and BART riders and other passengers injured while using public transportation. The firm represents individuals who suffered lacerations, fractures, concussions, or spinal injuries from unsafe premises and dangerous property conditions ("slip and fall" cases) as well as from unsupervised dogs and other animals. The Dolan Law Firm represents families whose loved ones were harmed or neglected at senior facilities or nursing homes (elder abuse) or school (student child abuse). Its clients include individuals seriously injured in police brutality and excessive force cases. The firm has a longstanding and practice for LGBTQ persons denied their equal rights. The Dolan Law Firm also represents employees challenging discrimination, harassment, retaliation, and wrongful termination. These cases often involve claims of race, gender, ethnicity or national origin, disability, pregnancy and sexual orientation discrimination, sexual harassment, pregnancy and Family Medical Leave Act (FMLA) violations, and wage and hour violations. The firm represents employees who have been retaliated against for "blowing the whistle" on fraud committed by their employer. With offices in San Francisco, Oakland, and Marin, the Dolan Law Firm represents clients in the San Francisco Bay Area and across California.